More than twelve years have passed since ISS started providing its residential customer base with the very best quality of service across the audio, visual and home networking areas of its business. The ISS engineers are Part P electrically qualified and that means that you can rest assured and be safe in the knowledge that any work completed with be according to the very highest safety standards. 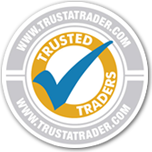 ISS’s customer feedback reflects its customer commitment, with an average score of 9.9/10 on checkatrade.com and over 1300 reviews and also over 1700 reviews on trustatrader.com with an average of 4.9/5, furtherproof of that ongoing commitment. The ISS electrical team are never too far away with offices locally to provide expert advice and resolve any problems you may be experiencing. The next generation of digital television has finally arrived and that means a much greater choice of channels are now available to residential customers. Digital TV is not free from problems, with faulty aerials still accounting for TV reception problems of the new digital TV channels. If you’re not seeing your digital terrestrial television clearly, ISS can provide a technical verification that everything is working as it should, from freeview through to dab and fm aerials. There are now a range of competing TV formats and it doesn't matter whether you have an LCD, LED, Plasma or any other next generation SMART flat screen television, our ability to hide the many wires the new TV technologies produce, is second to none. From standard wall-mounting solutions for flat wall fittings, right the way up to motorized wall mounts, ISS can install all types. From small 19" televisions across to 70" TV's, you can feel secure that ISS's work will be installed by an experienced engineer and fastened securely to the very highest of standards - and there will be no loose why to trip over or spoil your new visual experience! It doesn't matter if it's sky digital, sky plus, sky plus hd, sky 3d or freesat, the simple fact is that there are a great many more choices available to those residential subscribers of satellite television services. However, if you don’t have the height to install the satellite dish, then you might have been given the impression that watching satellite channels where you are based is virtually impossible. In reality ISS helps many customers install satellite services even if the major providers have said that this is not possible. This means that there is no longer a limit on the number of channels you could have available for viewing in your home. Whether you are looking to install famous brand names, such as Kef, Yamaha, Sony or Bose, all the way up to leading industry solutions, we have the expertise to transform your living room or dedicated space into a fully fledged AV home cinema experience to rival that of IMAX! Whether you are wanting to go upgrade from the television through to a 5.1 surround sound system, the experience of the ISS engineeers mean that your AV installation service is complete. Our experience in the sector means that our installation service also extends to providing you with helpful advice so that when you are left alone with your new system, you’ll know exactly how to get the most out it. If you're looking to take control of home audio easily, then the Sonos solution could be the right choice.. Our fully trained home audio engineers are able to provide you with support and installation services to make sure that the multi-room system works perfectly. ISS has a presence and is able to respond quickly to towns located near to the following places. If you have any doubts, please contact us on 0800 881 3014. This list of services shown here is displayed to provide a sample of the types of services that our teams can respond to. Whether you have ambitious ideas or simply need some support to make your home network work or aerial receive digital signals perfectly, an ISS engineer is on hand to help.